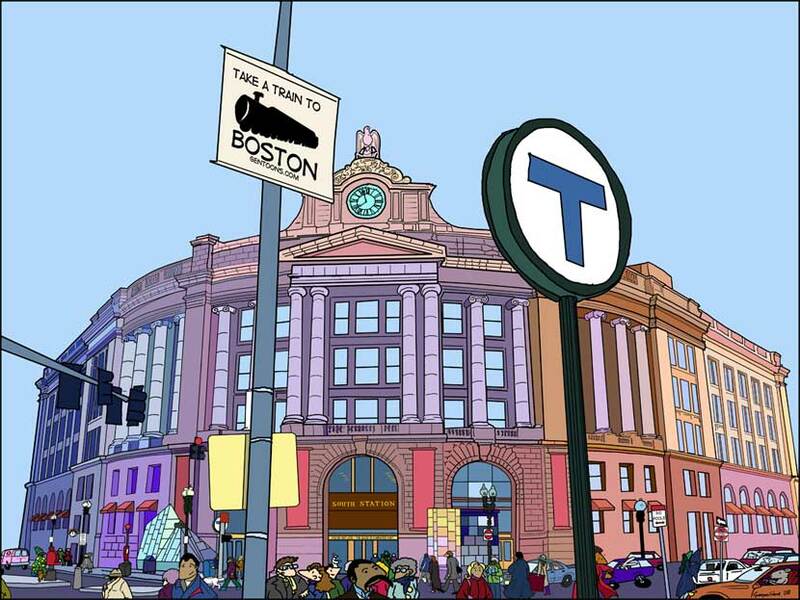 You are here: Home » Why Isn’t There a Good Frappe at Boston South Station? I’m at Boston South Station, waiting for a bus up to northern New Hampshire. It’s hot. Really hot. Not only that, it’s also wicked muggy. I have a couple hours to kill, so I’ve been outside on Atlantic Avenue. Across the street is a brand new Dunkin’ Donuts – not even open yet. The pavement and brick radiate the heat on me. I’m sweating like a dog. I duck back inside to South Station and wander the food court, looking for one of my favorites; Mocafe Ice Blended Frappes. Nada. Zilch. Zero. No Go At The Station. Finally, I settle on a large lemonade from McDonalds. Definitely not my first choice, but it’s got ice in it. There’s two independent coffee bars in Boston South Station. Neither offered frappes. If I had a Mocafe sample with me – I’d drop it off for them to try.